In New Jersey, it is well settled that child support belongs to the child and both parents have a mutual obligation to support their children. Child support is calculated using the Child Support Guidelines, which is a mathematical formula that estimates the amount of money it would cost an intact family to support a child. That amount is shared by both parents in proportion to their incomes. In order to receive a child support award, a parent either needs to file an application for child support with the Court or reach an agreement with the other parent without Court intervention. 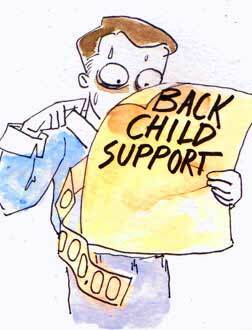 According to New Jersey law, there can be no retroactive modification of child support. In other words, a parent’s request to change child support can only be effective as of the date that parent filed his/her Motion with the Court – not a date before that. However, in a recent case approved for publication on October 15, 2015, Kakstys v. Stevens, the Court ruled that this anti-retroactivity only applies to modifications of already-existing child support orders. It does not apply when a parent seeks to establish child support for the first time. In other words, a Court can now require a parent to pay child support beginning before the date a motion was filed. This is a very important distinction and becomes significant during a divorce proceeding. Often times during a divorce proceeding, the parties will attempted to settle their outstanding issues amicably and without Court intervention. However, these settlement negotiations are not always successful and sometimes can go on for months with no agreement. During this time, the non-custodial parent may not be providing child support to the custodial parent. With the ruling in Kakstys v. Stevens, a party can seek child support retroactively to the date the party filed their Complaint for Divorce as long as child support is expressly sought in the Complaint. The Court based its authority on the principles of basic fairness: "Family court is a court of equity, meaning a court of fairness, and forfeiture of a child’s right to be supported by both parents runs completely against basic concepts of fairness and equity." The important issue to recognize here is that our courts encourage parties to settle their cases without Court intervention. A parent should not be punished simply because they were hoping an agreement would be reached and during this time, he/she did not file a formal application seeking child support with the court. This case also reminds attorneys to immediately request child support in the Divorce Complaint. If the parties choose to begin settlement negotiations prior to filing a Complaint, either party or the representing attorney should preserve the right, in writing, to seek child support at the outset. Blog authored by Michelle A. Levin, Esq.